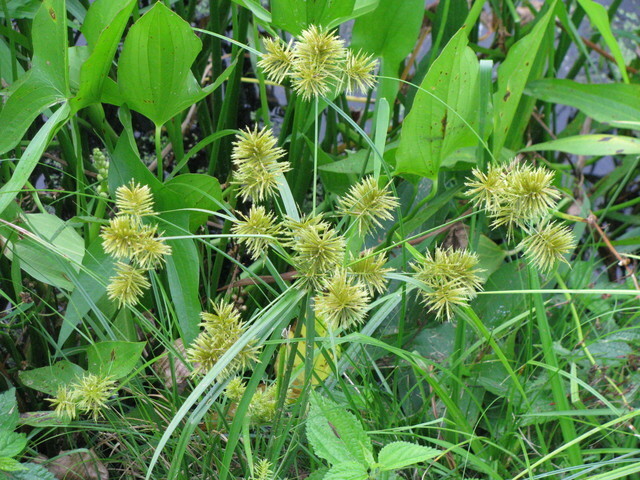 Cyperus strigosus.© Les Mehrhoff, 2008-2010 · 3.discoverlife.org (Accessed 4/2015). Cyperus strigosus is a short-lived perennial C4 sedge (Li et al. 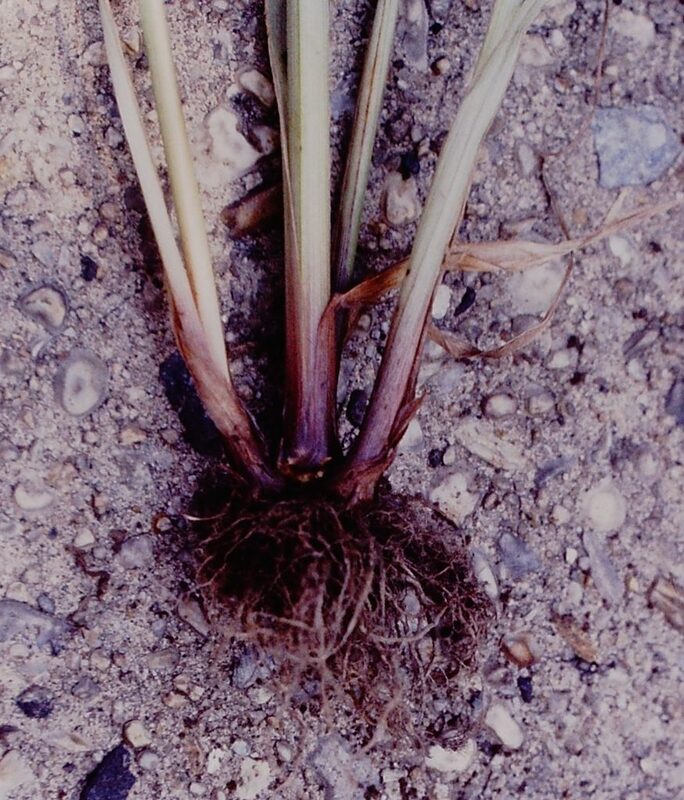 1999), superficially like C. esculentus but from a bulbous, corm-like, dark, often reddish base, roots fibrous, very fine, matted (no tubers or rhizomes), base leafy, stem 10-60 cm, smooth, 3-sided, dark green, lustrous, leaf sheaths and backs of leaves often rather waxy pale green. Leaves 0.2-1 cm wide, as long as flowering stems; inflorescence bracts 2-7, leafy, much longer than stems. Flower spikelets yellowish, 4-14 flowered, flattened, 0.5-1.8 cm long, scales whitish to yellowish with green midrib, spreading at right angles along a narrowly winged axis 0.6-2.5 cm long, 0.1-0.2 cm wide; achenes 3-sided, linear less than half the length of its scale; inflorescence of few to many short-cylindrical, bottle-brush shaped spikes, mostly branched at base, central spikes stalkless, longer stalks 3-40 cm. Fruit an achene; blooms and fruits Aug-Oct. Seeds eaten by many birds (Martin et al. 1951). Frequency in NYC: Occasional (probably more frequent than shown by inventory). Habitat: Open or partly shaded, wet areas, disturbed sites, fill, moderately tolerant of fire, intolerant of shade, salt, soil pH 6.4-7 (USDA, NRCS 2010).